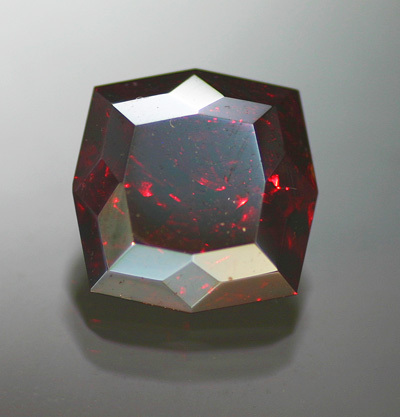 Cuprite's high refractive index, intense and pure red color and metallic luster combine to make of the most unique faceted gems possible. The color is extraordinary, an intense red that is visible through the distinctive metallic luster of the species that is nearly all you can see in reflected light. 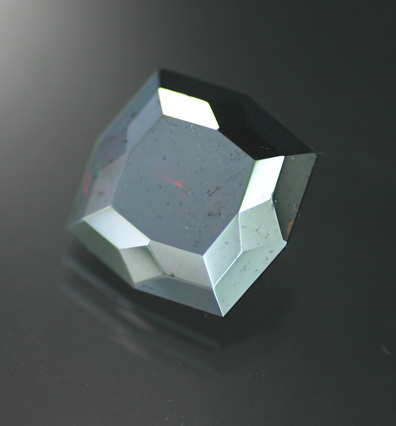 If you are as fascinated by this gem material as we are, you will notice that there are some gem Cuprite's out there, but very few that have seen this much care in faceting. Cut incorrectly, these often appear black and have a less than attractive luster. Here you have a great example, with all the qualities that we love to offer, in a more approachable size. These look so great that if they were durable enough for use in jewelry, prices would likely be ten times as high.